As since confirmed by art buyers in agencies around the globe, the L�rzer�s Archive Special 200 Best Ad Photographers worldwide has now advanced to become one of the key art-buying tools for advertising agencies. The 2010/2011 edition once again offers you a balanced mix of established industry greats rubbing shoulders with newcomers - all of whom who were selected from a total of 6,539 submissions sent in from 48 countries. 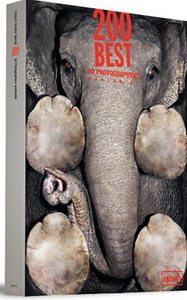 You will, for example, find 111 photographers not featured in the earlier issues who, in line with our customary selection criteria, were first nominated by ad agency art directors and subsequently invited to submit their best work from the past 2 years.